South County Roofing has been specializing in roof leak repair for Laguna Niguel residents and the surrounding cities since we opened our doors in 1997. If your roof is leaking and you would like to have your roof repaired by a professional who specialize in roof leak detection and repair then you're in the right spot. 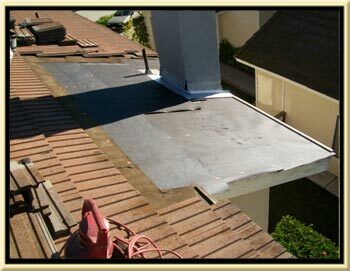 We service all Of Orange County and we are completely licensed and insured. South County Roofing does specialize in tile roof leak repairs but, we also welcome calls for flat roof leaks, leaking steel tile roof, and asphalt composition shingle roof leaks as well. We are your one stop roofing professional who likes to properly repair all types of roofs and fix any roof leak that you may have. Roof leaks happen in a variety of areas on your roof. Some roof leaks are more difficult to repair than others. No matter the difficult of your roof leak you can be sure that if you hire South County Roofing to find and fix your leaking roof we do just that and we will back up our labor with one of the longest and strongest roof leak repair warranties you will find. We will not attempt to repair a roof that we are not willing to guarantee that it will not leak. Our "No Leak Guarantee" covers the leak not just the area we fixed. When we fix a leak we fix it for good like it should be.